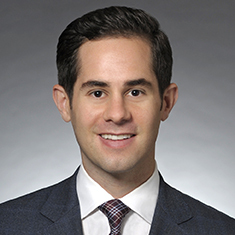 Daniel J. Elrod concentrates his practice in commercial real estate transactions, including acquisitions and dispositions. He also represents borrowers, institutional lenders, funds and other investors in connection with mortgage loans and other structured financings. During law school, Dan served as an extern to the Honorable Marvin E. Aspen of the US District Court for the Northern District of Illinois and Illinois Supreme Court Justice Ann M. Burke. Dan is a member of the Urban Land Institute, and is a participant in the Constitutional Rights Foundation's Lawyers in the Classroom program. Shown below is a selection of Daniel’s engagements.